While most of the plants in the garden are beginning to dry out and die because it is the end of their season, the Zia Canteen Gourds are still thriving. 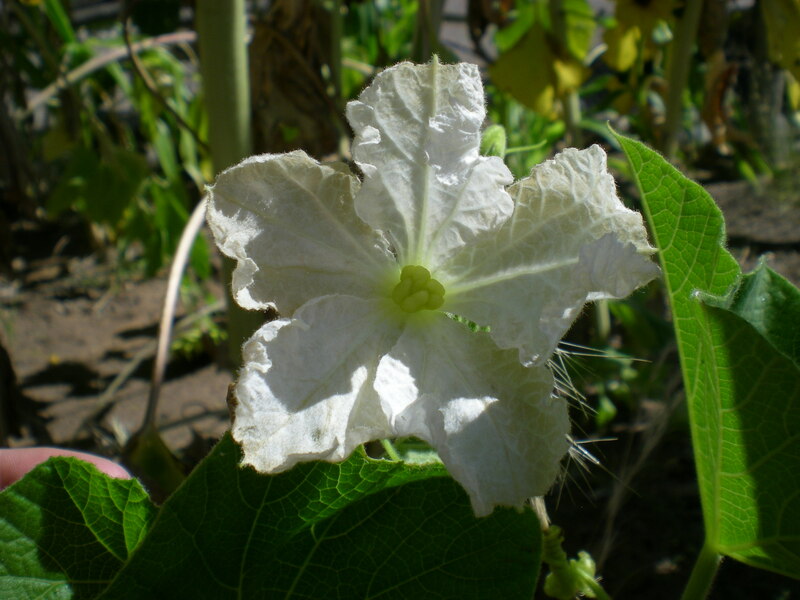 They are producing many new gourds, and still blooming. As of this week we have harvested all of our short Navajo corn, and we were very pleased with the colors that were produced. It looks like the white corn from San Phillipe Pueblo is getting close to harvest as well. We have now noticed that all of the beans have begun to produce, and we will have a very plentiful crop of our Four Corners Gold variety. We also received a donation of six Apache Plume seedlings which were planted this week, and we are told that they grow very fast. So hopefully by this time next year we can harvest some of the branches to make pueblo arrows with. CLICK HERE to see the time-lapse of the sunflower garden. Tags: Bernalillo, Coronado, Coronado Historic Site, Education, Garden, Garden Project, Garends, Hands-on, Historic SIte, History, Interactive, Kuaua, Nature, New Mexico, Pueblo, Ranger Ethan, Rio Grande, Southwest. Bookmark the permalink.